What is the difference between D1 and CIF resolution when choosing a DVR? 04 Apr What is the difference between D1 and CIF resolution when choosing a DVR? There are some important details to take into consideration when shopping for video surveillance. One of them is comparing the Resolutions. Most important is the recording resolution. These are the typical resolutions you will find out there. The ADT Pulse Cameras are VGA Resolution. Inexpensive Camera systems use CIF. Middle of the road camera systems use D1. 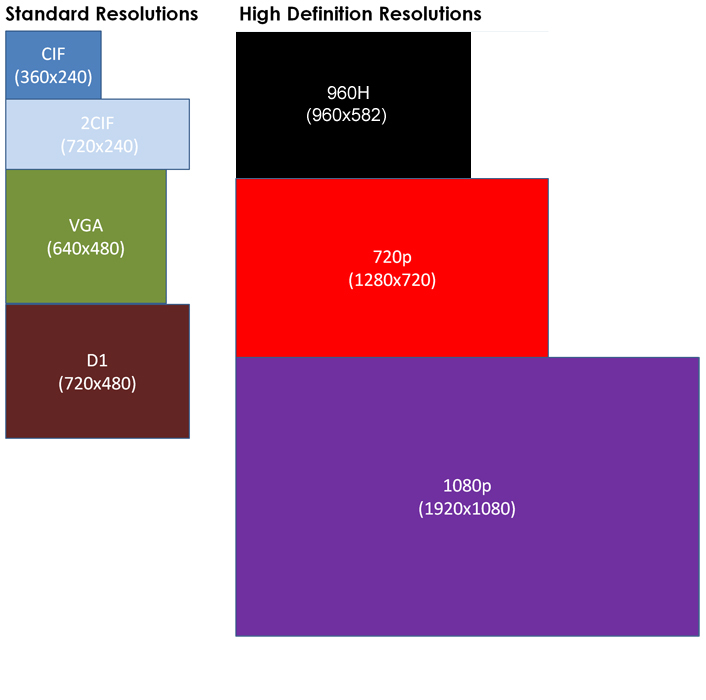 Higher Quality camera systems use 960H-1080p. You get what you pay for in most circumstances. If you want the HD cameras you will pay more for it. They are usually slightly more. We usually install HD 1080P.